There is no more optimistic time on the college basketball calendar than the final days leading up to the season. Players feel confident in their readiness for the five-month grind ahead, coaches are left to dream only of best-case scenarios (and often, better), and fans and media are fully entitled to the prognostications of their choosing. It is an undeniably exciting week for a number of reasons, but one item that always adds to the enthusiasm of the days leading up to the year is the unveiling of the Preseason All-America teams. Recognizing the individuals most likely to influence the season ahead not only makes for great banter as we begin the year, but also energizes the players and programs included on the lists. But for all the attention paid to these preseason All-American lists, how much do they really matter come January, let alone March? If the precedent of the past 10 years means anything, we should be compiling these teams with the firm knowledge that they are very much subject to change. 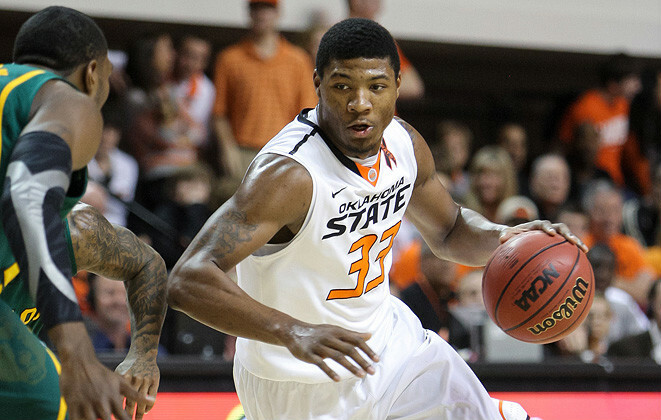 Marcus Smart’s Unanimous Selection To The AP’s Preseason All-American Team Should Make Him A Safe Bet To Also Be An All-American Come March, Right? Height/Weight: 6’8” / 230 lbs. 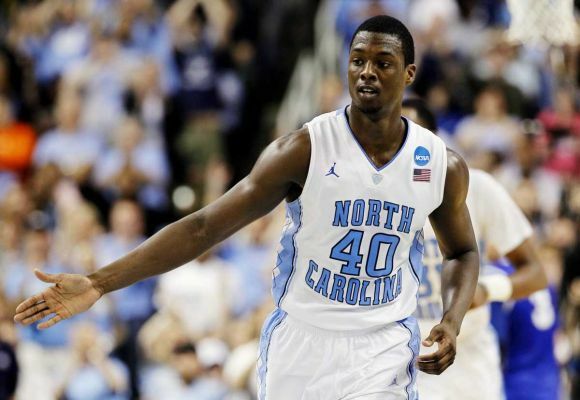 Overview: Harrison Barnes became the first ever freshman to be named on the preseason All-American team back in 2010-11, as the #1 recruit in his class was expected to become a monster contributor immediately for North Carolina. That tells you all you need to know about Barnes’ highly scrutinized career. He had a longer adjustment period than expected, but Barnes had become an easy 15-20 point scorer by the end of his freshman season. As a sophomore, he averaged 17.1 points, 5.2 rebounds, and 1.1 steals per game as a steady contributor on both ends. But he never truly lived up to expectations, as Barnes was not a dominant player during his two seasons, and he struggled in his final run of last year’s NCAA Tournament. Nonetheless, he remains an elite prospect with prototypical small forward size and athleticism. He has an extremely polished mid-range game that features advanced pump fakes, jab steps, and of course a great jump shot. His 6’8” and strong frame allows him to get his shots up over anybody, and he has range out to the three-point line. He’s added 15 pounds since his freshman year and was the best overall athlete at the Draft Combine, recording the fastest three-quarter court sprint and highest standing vertical leap amongst other notable numbers. Barnes does not attack the basket like his physical profile and skill set suggest he can, which leaves reason to believe he can eventually become a more complete offensive weapon. While he may never reach the Kobe Bryant-like comparisons that were made in high school, Barnes is a safe bet to be a consistent scoring threat in the NBA with solid athleticism and a strong feel for the game on both ends. ACC Sports Journal: We know he’s coming back, but Jim Young took a look at the pros and cons of James Michael McAdoo‘s decision whether or not to return to Chapel Hill for his sophomore campaign. The strongest argument, in my opinion, is building his confidence through collegiate success. It’s a way for a guy like McAdoo, who looked like a late lottery pick based on most draft projections, to sneak into the top five (where he’d get a much nicer contract), and also make it more likely for him to succeed. 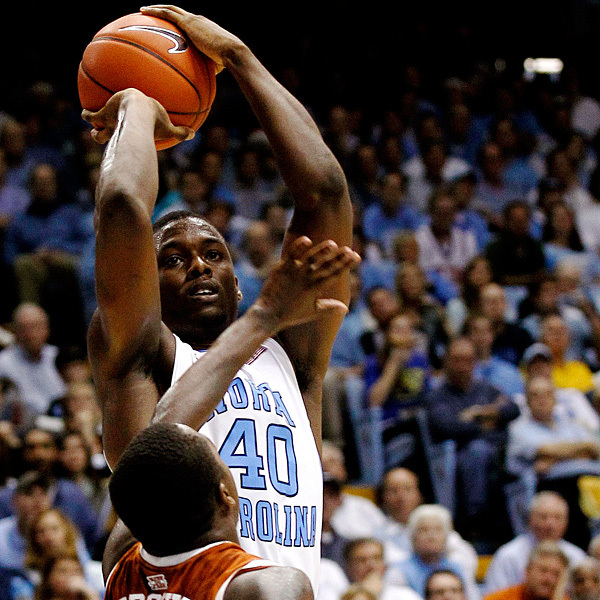 That said, I think it’s a little risky (see: Harrison Barnes). 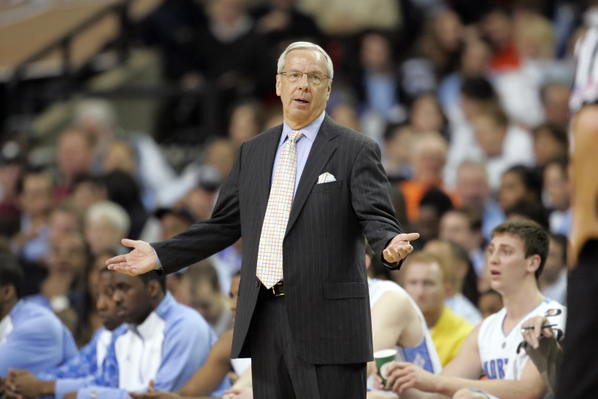 Tar Heel Blog: With the roster pretty much set, Brian Barbour went to work trying to guess North Carolina‘s lineup for next year. I would only add a couple of things: (1) I think Dexter Stickland will be hugely important to next year’s team; (2) I think North Carolina may play small a good amount of the time, possibly putting Reggie Bullock at the four and McAdoo at the five to create mismatches. Testudo Times: Speaking about potential ACC transfers, Maryland is getting serious about Evan Smotrycz, inviting the Michigan transfer on a visit this week. I agree that while Smotrycz isn’t the perfect player, he brings a valuable skill set to the Terrapins. This is especially true for a team that currently really struggles scoring, so having a stretch four could make a very big difference. Duke Basketball Report: I feel like I’ve mentioned this several times (albeit looking at Duke big men from a little further back), but this article goes straight at the oft-repeated knock against Duke coming from high-profile recruits that the Blue Devils can’t coach bigs (namely, Mitch McGary and Tony Parker). One piece of ammunition — ironically for both sides of the argument — is Lance Thomas. I think the real question comes from the article’s final “proviso that what anyone does in high school is irrelevant to the college game.” Obviously, to some extent that’s true (especially of big men), but that’s the gap current recruits see between Mason Plumlee‘s high school dominance and freshman and sophomore year incompetence. Staunton News-Leader: I agree with this article in all but one respect. I think Duke fans (and logical North Carolina fans) will be pulling for NC State next year. This isn’t to say they’ll put the Wolfpack ahead of their own teams, but it’s good for the ACC when the whole conference is up, and that means having another national contender outside of the usual suspects. Assuming Florida State can keep playing at a high level and that Maryland improves significantly, the ACC could be almost wide open depending on Duke’s last-ditch recruiting. EXTRA: The UConn Blog – There’s a little unrest in Storrs, as Alex Oriakhi‘s dad publicly called for reprimands towards Jim Calhoun by saying, “I have no qualm in calling on the [AD] to relieve Calhoun of this position.” Wow. Not exactly going out with a whimper. Mr. Oriakhi may want to wait for his son to pick a school before ripping into the Huskies’ legend, as Connecticut could ultimately make his son’s transfer much more difficult.